You can be sure that the 2019 Nissan Versa is a vehicle sold with a stylish and functional exterior. Just like the 2018 Nissan Versa, the 2019 Versa sedan includes all-season tires as a standard exterior feature. This standard feature allows you to drive safely in all sorts of weather. The standard 15-inch wheels make it easy to enjoy driving the Nissan Versa and do so safely. The Nissan Versa offers some interesting and useful available exterior features in order to complement its standard features. If you want to improve the exterior style of the Nissan Versa even more, you can choose to get 15-inch black alloy wheels. Start turning heads on the streets of Flagstaff. Explore the 2019 Nissan Versa sedan and the rest of the wonderful inventory available at Flagstaff Nissan, a trusted Flagstaff car dealership. The 2019 Nissan Versa runs on a standard 1.6L 4-cylinder engine that uses a front-wheel drive system and an available XTRONIC CVT®. Sedona, AZ drivers get 109 horsepower and 107 lb-ft of torque from this standard engine. You can count on the 2019 Versa for amazing fuel economy, as well. The 2019 Nissan Versa using the standard 1.6L engine gets EPA-estimated fuel economy ratings of 31 MPG in the city and 39 MPG on the highway. 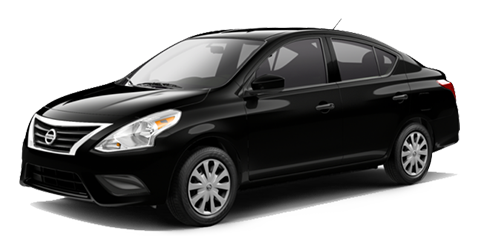 However, the Nissan Versa has the option of a different transmission system, as well. The standard 5-speed manual transmission system on the base S trim gets an EPA-estimated fuel economy rating of 27 MPG in the city and 36 MPG on the highway. Either way, the Nissan Versa is one of the most fuel-efficient vehicles you will find. Schedule a test-drive and stop by Flagstaff Nissan, an excellent Nissan dealership. The 2019 Nissan Versa follows the example of the 2018 model in giving drivers plenty of space. You can sit comfortably in the front or rear seat in addition to carrying all your cargo without any hassle. The standard front seats in the Nissan Versa are covered in the standard cloth material on the S Plus trim and this increases the comfort level inside the vehicle further. If you upgrade to the SV trim, premium cloth material covers the seats and improves your comfort to a higher level still. The rear seats have a standard split-folding design and also covered in cloth or premium cloth material, depending on the trim level. Even when sitting in the rear seats, you can enjoy an abundant amount of legroom and sit comfortably, regardless of how many people are in the car. Fitting all your cargo into the rear of the Nissan Versa is simple and easy thanks to a large amount of cargo space. Explore everything the interior of the Nissan Versa has to offer when you visit Flagstaff Nissan today. You will not have to worry about getting bored with the 2019 Nissan Versa. A USB port comes standard so charging your devices or accessing your media is simple and easy. Listening to music with high-quality audio is easy thanks to the standard AM/FM stereo and its 4 standard speakers. The speed-sensitive volume control makes sure the noise of the road never gets in the way of your music. 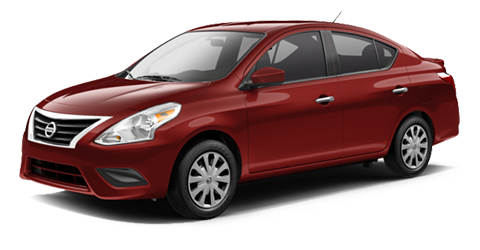 Flagstaff Nissan is one of the best Flagstaff, AZ car dealerships to visit if you are interested in the new Nissan Versa. If you are looking for a great Flagstaff car dealership, look no further than Flagstaff Nissan. Our Flagstaff, AZ car dealership offers an extensive inventory of Nissan vehicles. You can find plenty of excellent new, pre-owned, and Certified Pre-Owned Nissan vehicles that fit your needs. You can also rest assured that our Nissan dealer values customer service very highly. Visit Flagstaff Nissan if you want to learn more about the Nissan Versa. Our sales staff is more than capable of answering all your questions. We can even tell you about the financing options available at Flagstaff Nissan. We will tell you about all the features the Nissan Versa has to offer and more. If you want top-notch auto repair service, stop by our service department. Our service team can do whatever you need, from repairs to regular maintenance like an oil change. Our service experts will answer all your service questions and do so happily. You can check out our parts store if you need genuine Nissan parts for your own projects. Our website also gives you the option to receive alerts when prices change, new offers are entered and more. If you prefer, you can call us at 888-741-5054. After you have all the necessary information, come in and see us. Flagstaff Nissan is conveniently located at 4960 East Marketplace Drive, Flagstaff, AZ 86004. We look forward to you visiting us. Stop by Flagstaff Nissan for a hassle-free Nissan shopping experience!